The University of Illinois Springfield Visual Arts Gallery presents paper artist Helen Hiebert as part of the citywide exhibition “Partners on Paper”, hosted in collaboration with the Illinois State Museum, the Prairie Art Alliance, the Springfield Art Association and Robert Morris College. The exhibition will take place Oct. 3–Nov. 3 in the UIS Visual Arts Gallery, centrally located on the UIS campus in the Health and Science Building (HSB 201). Gallery hours are Mon.-Thurs. from 11 a.m. to 6 p.m. A reception will be held on Oct. 21 from 4:30-6:30 p.m. in the gallery. A workshop featuring Hiebert will take place at the Springfield Art Association (700 N. 4th St., Springfield) on Oct. 22 from 10 a.m. – 3 p.m.
Hiebert’s work explores all aspects of paper, testing its strength both symbolically and physically. In 2008, Hiebert produced the film, Water Paper Time, detailing her sculptural uses of paper. She is the author of three books on papermaking, has produced commercially successful decorative paper lamps and teaches papermaking classes at her studio in Portland, Oregon. This show will feature her celebrated work, The Mother Tree. 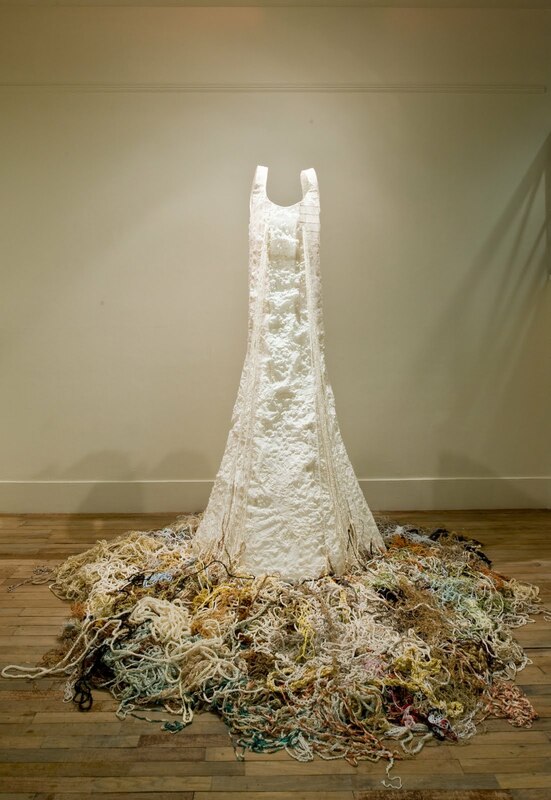 She first exhibited the life-size handmade paper dress in 2010 as part of the Portland Building's Installation Space program funded by the Oregon Regional Arts & Culture Council. 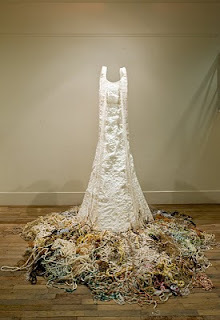 Single strands of crocheted thread extend from the bodice of the dress; as the strands cascade to the floor they turn into roots, symbolizing the mother as a provider and nurturer. For more information contact the gallery at 217/206-6506 or email gallery@uis.edu. Find the gallery online at www.uis.edu/visualarts/gallery.html or visit the Partners on Paper Website/Blog at blogs.uis.edu/partnersonpaper/.